Photographers each have a particular style of photography that they like the best. For myself, I love de-saturated images and black and white. If you are just starting the hobby of photography then you are most likely looking for a bright and beautiful day, or perhaps colorful objects that stand out on vibrant backgrounds. However, sometimes the gloomiest of days can be the photographer’s best friend. Go to your local park on a beautiful spring morning and you are sure to see photography enthusiast taking pictures of spring flowers. During winter time visit that same park and you most likely will feel as if the world has ended and all the people have gone away. Most people do not see the splendor of the trees in winter time. The opinion of most people is that the trees are dead therefore they provide no photographic opportunities. 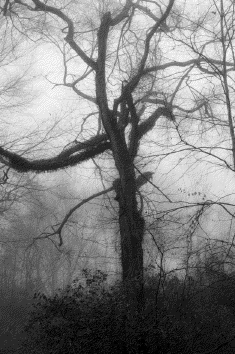 However, on a foggy morning the branches of the trees stand out significantly making interesting shapes. Here in the south I spend more time outdoors during the winter months than any other time of the year. 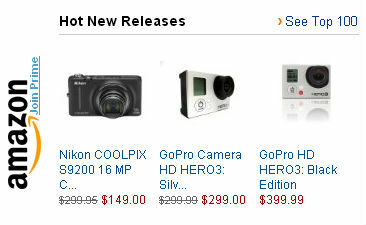 That is due to the fact that winter time brings in the most fog of the year. 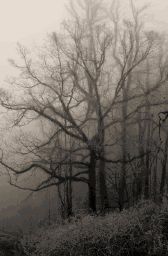 Fog in combination with the barren trees can make some pretty unusual photographs. Fog however, changes drastically how you adjust your camera. Fog lowers contrast considerably and your cameras ability to properly meter. It also reduces your shutter speed due to how it reads the lighting conditions, making shooting hand held more difficult. When shooting in fog I suggest you always use a tripod. You most likely will be shooting at a shutter speed less than your focal length therefore minor movements will cause your photographs to be blurry. In this particular example it was very early morning in heavy fog conditions. On a bright sunny day this tree doesn’t offer much attraction to the eye. However, under heavy fog conditions and having the advantage of reduced contrast due to the fog, this tree comes to life showing all the minor details of the smallest branches. When shooting in the fog you do not want to use a flash as this will cause more of a white out effect. Because I wanted to catch some of the smaller trees behind my main subject, I used an aperture of F/22 and to reduce noise used an ISO of 100. I also wanted a little darker effect so I reduce my exposure compensation by -1. This produced a very slow shutter speed at around 1/10 hence why itis necessary to use a tripod. In this example this photograph was taken later in the morning and the sun was lightly breaking through the clouds casting more light onto the trees. The shape of the tree I considered interesting enough to act as more of a shadow with minor backlighting still keeping the outlines of the trees behind it. This particular day there was a heavy breeze which required a little higher shutter speed. The sun was not producing enough overall light to keep such a low shutter speed. So in this case I increased the ISO to 400 which increased the shutter speed to 1/40, just enough to combat the wind. Again, I used a tripod as to minimize blur. If you are not a winter person or live in an area that does not allow you to be able to venture out duringthe cold months, then try your hand at fog during the other times of the year. 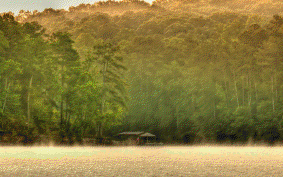 Patchy fog such as the fog in this lake image can add an interesting element to an otherwise ordinary picture. So the next time you turn on the weather channel look for a foggy morning and get out there and shoot! Hi there! I'm Darleen.. while I make my living as a photographer, it is still my favorite hobby. I specialize in outdoor, natural, lifestyle portrait photography for people and pets as well as news photography. I am a regular Freelance Photographer for the Cherokee Ledger News in Woodstock Georgia. I love photography because it helps keep my 'life in focus". Find me on Facebook or at my photography website.